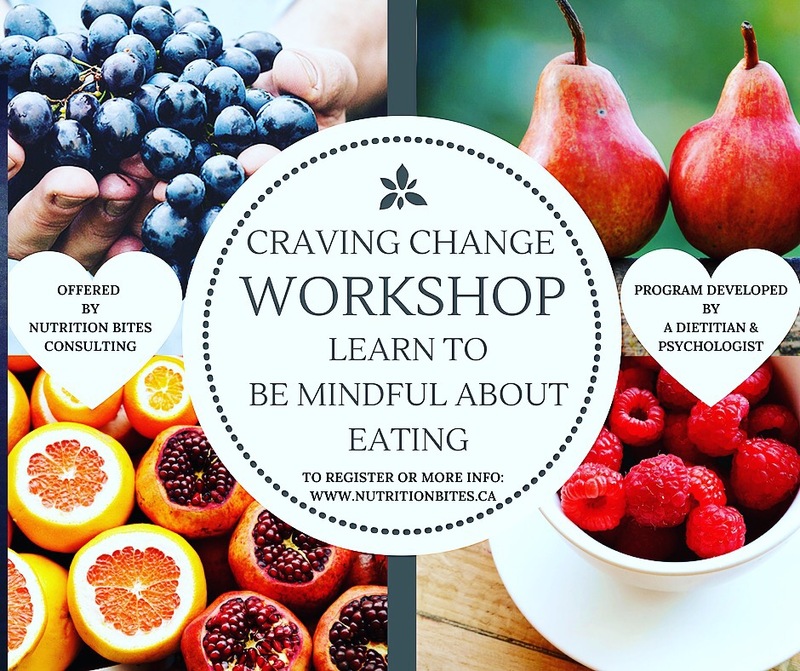 Craving Change (TM) is a workshop that helps individuals recognize WHY they eat and understand themselves better to mindful eating. Pre-Register today with the easy form below! Scroll down. The Craving Change workshop is based on the cognitive-behavioural model. It’s an approach to understanding well-being and behaviour. The model looks at how ‘internal’ events such as thoughts and feelings, affect behaviour. All three of these core elements strongly impact one-another. Interventions based on this model have been demonstrated as effective across a wide range of psychological difficulties including eating disorders, depression, and anxiety. This model has also been well supported by research for interventions that are relatively short-term, and interventions that are offered in either individual or group settings. Want to hear what actual participants think of Craving Change? Click here to watch a quick video with some hints of what you will learn, and what others have already gotten out of the workshop! It is recommended to have 8-15 participants as an ideal size for a Craving Change workshop. The material takes approximately 8 hours to facilitate. It is broken down into 3, 4, or 6 sessions to meet your organization’s needs/booking limits. The workshop uses a variety of techniques, including guided, interactive discussions, brainstorming activities, brief written exercises, and homework tasks (hence not a one-day workshop). It is a relaxed atmosphere with no “lecture” component. Materials spanning the entire workshop are on power point slides. The slides provide very brief information and are used sparingly, with the focus instead being on thought-provoking, relaxed group discussion. Participants receive either their own copy of the client workbook or stand-alone worksheets depending on the workshop series. Want to know more of the science background? Watch this video of Dr. Sharma’s explanation, as well as support of Craving Change workshops. I love being able to connect people with their bodies and increasing their awareness of WHY they choose to eat. It’s the first step in choosing different behaviours if they want to make changes in their lifestyles and nutrition habits. Register with the EventBrite link & pay with your credit card or PayPal (additional fee applies). Craving Change (TM) Reference workbook to use during the workshop (Includes summaries of lessons for future reference). In-home lessons are available with an additional travel fee. Host a Craving Change Workshop at your home, workplace, church, community centre, gym. Minimum of 4 participants required. Discounted rate for groups with 8+ participants. Pre-Register for an Upcoming Craving Change (TM) Workshop by filling out the form below. You will be the first to be notified about current and upcoming workshops. Were you referred by a friend? If so, we'd like to say thank you to them if you share with us their name in the box below. Age restrictions for participants – 18 years old and older. Cost subject to change. Please consider registering early so that you don’t miss this offer. E-Transfer to info@nutritionbites.ca after registration confirmed. *Discounts available for non-profits and small companies. Inquire for details. **Additional travel fee for locations outside of London. Ask for rates. Contact Nutrition Bites Consulting to set up any workshop for fitness groups, employee wellness and interested persons.